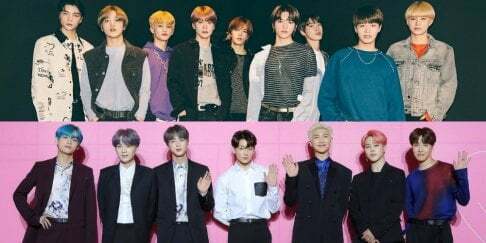 TXT's Yeonjun showed his moves to BTS' "Boys In Luv." The March 11 airing of MBC's 'Section TV' included an interview with the new boy group from Big Hit Entertainment. During the interview, Yeonjun revealed he auditioned with "Boys In Luv." The rookie then performed the song on the spot and wowed the MC with his powerful moves. Check out Yeonjuns' version of "Boys In Luv" in the clip below! When you go from fanboy to hoobae! lol I love things like this. I hope they get the chance to spend time with BTS sometimes and learn from them. I'm sure it would make them feel like they were being taken care of by their sunbaes.